Yes, please send me the 2019 ENR Square Foot Costbook for a 30-day Free Trial. 30-day trial offer valid in the US and Canada only. All orders are subject to acceptance. If I decide to keep it, I will pay the enclosed invoice for $79.95. Otherwise, I will return it and owe nothing. The EASY way to get fast, accurate square foot cost estimates! 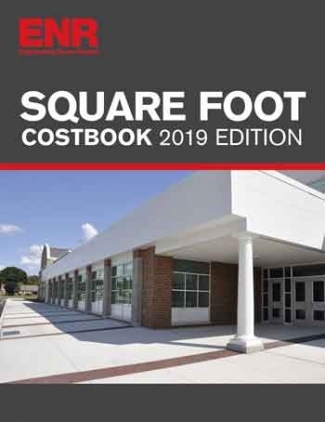 The brand-new 2019 ENR Square Foot Costbook gives you detailed square-foot cost breakdowns by CSI Division for dozens of actual commercial and residential projects! Includes unit-in-place cost for over 6,000 items PLUS regional cost factors for adjusting costs to every area of the country! © 2018 Design & Construction Resources. All rights reserved.